Let’s leave aside the racist bigot Frank Portelli, who can’t decide whether he’s working for the Labour Party on its television station or trying to lead the Nationalist Party. Edwin Vassallo seems to have somehow decided that a former money-launderer for a London prostitution racket can be reconciled with his religious views because they share the same stance on Kattolici u Latini and all that those words are a cipher for. 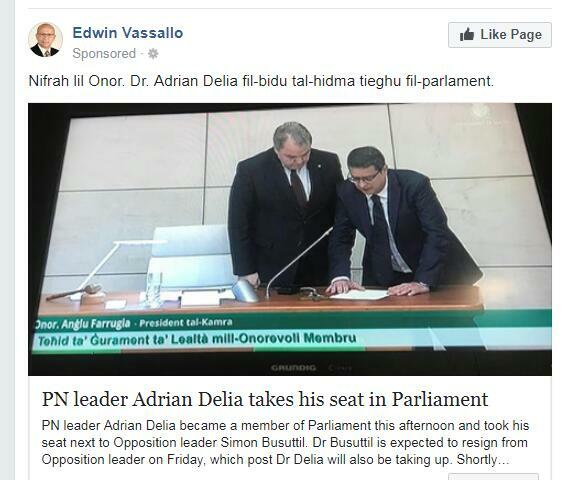 And the same goes for former Nationalist Minister and European Commissioner Tonio Borg, who is backing Delia to the hilt while his wife Adele writes GRANDE ADRIAN all over Facebook. Because apparently it doesn’t matter if a man launders money for a prostitution racket using women trafficked and virtually imprisoned – or, let’s face it, launders money at all for whatever reason – as long as his views on abortion and generally old-fashioned bigotry in male-female relations and society concur with his own. 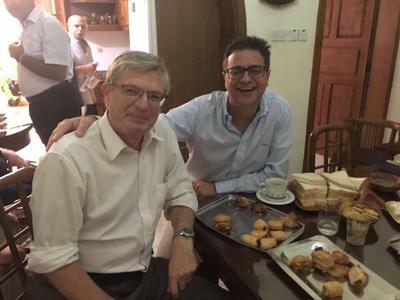 Let’s not forget that Dr Borg is the man who abused his position, when he was a cabinet minister, to write to organisations of all kinds in Malta to get them to back his attempts at having laws against abortion ‘entrenched’ in the Constitution of Malta – which would have meant that abortion could never become law here without a two-thirds majority in parliament that first pulled that out of the Constitution. And this is apart from the fact that laws for and against abortion have no place in the Constitution of a country in the first place. Newsbook reports that it was Tonio Borg who argued for a show of hands in the Nationalist Party’s executive committee, on the matter of Delia’s co-option to parliament, rather than a secret vote as is standard practice. This meant that dissenters were not likely to dissent. Dr Borg got his way, and those planning on voting against Delia’s co-option did not (this being Malta, where survival is prized over having a backbone, and where a backbone is considered a handicap to survival rather than essential for it).